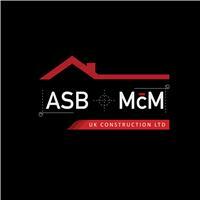 ASB - McM UK Construction Ltd - Builder based in Epping, Essex. At ASB-McM our professional and skilful builders push to deliver through the steps and stages required in order to accomplish the desired outcome of our client’s projects. Whether there is problem obstructing the process we will find a solution to resolve it and aim to deliver our services in a timely manner and on budget. General construction - All building works undertaken from commercial to domestic, new constructions to renovations and refurbishment.